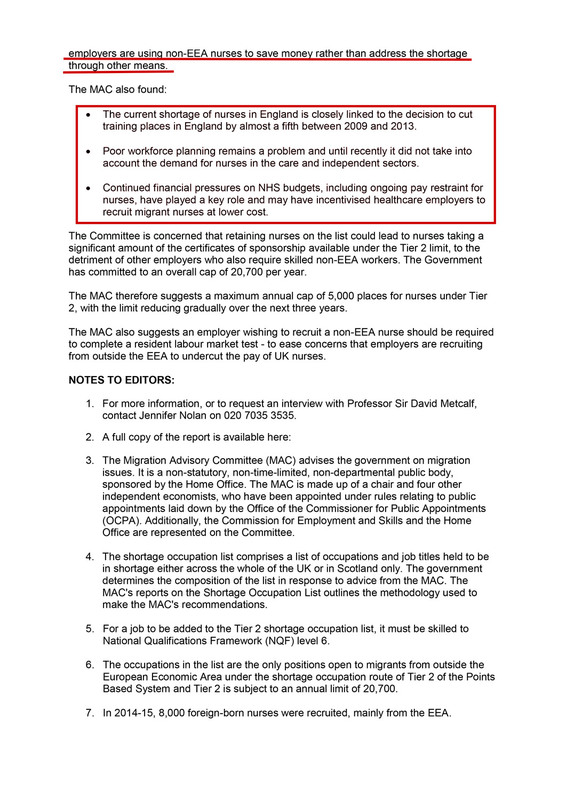 All to often we are told by the advocates of open door immigration that the NHS would collapse without immigration but a new report by the Migration Advisory Committee (MAC) finds that the current shortage of nurses is mostly down to factors which could, and should, have been anticipated by the health, care and independent sectors. MAC also “found evidence suggesting employers are using non-EEA nurses to save money rather than address the shortage through other means”. Clearly both the government and the medical industry have manipulated migrant labour to the detriment of UK workers by removing any long term need to invest and train UK nationals who on average would be paid £6,000 more than their migrant counterparts. The current shortage of nurses in England is closely linked to the decision to cut training places in England by almost a fifth between 2009 and 2013. Poor workforce planning remains a problem and until recently it did not take into account the demand for nurses in the care and independent sectors. 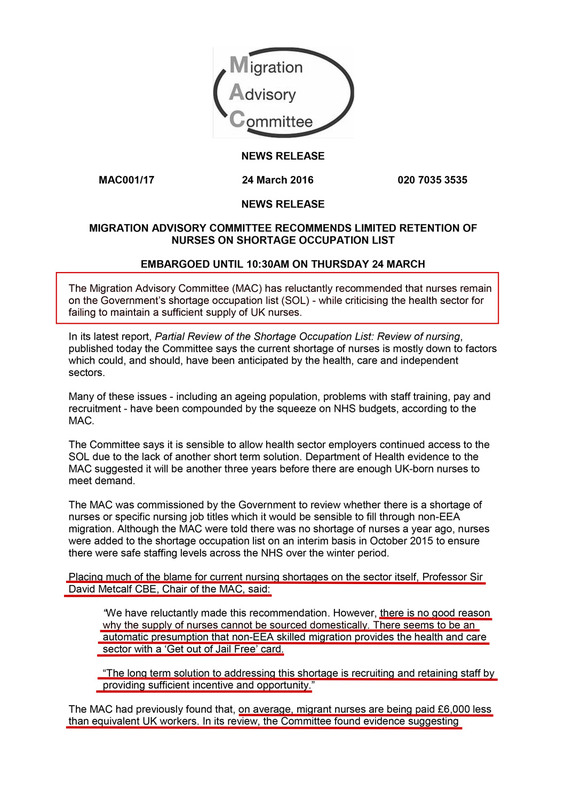 Continued financial pressures on NHS budgets, including ongoing pay restraint for nurses, have played a key role and may have incentivised healthcare employers to recruit migrant nurses at lower cost.